Praia do Vau is a beach in Portimão. 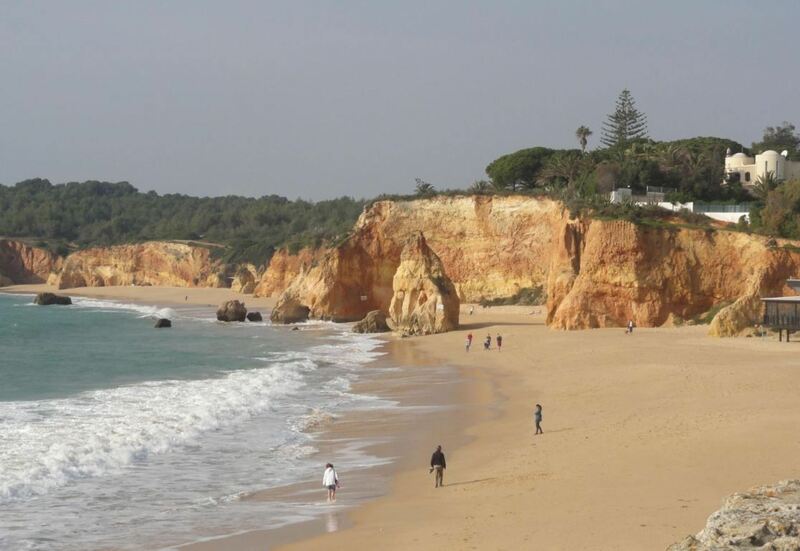 The beach is situated only 2 kilometres west of Praia da Rocha and 3 kilometres from the center of Portimão. It is far enough from Portimão to escape the huge crowds, but close enough to go to Portimão at night to have fun. Watch the video below to get an idea of Praia do Vau and its surroundings. 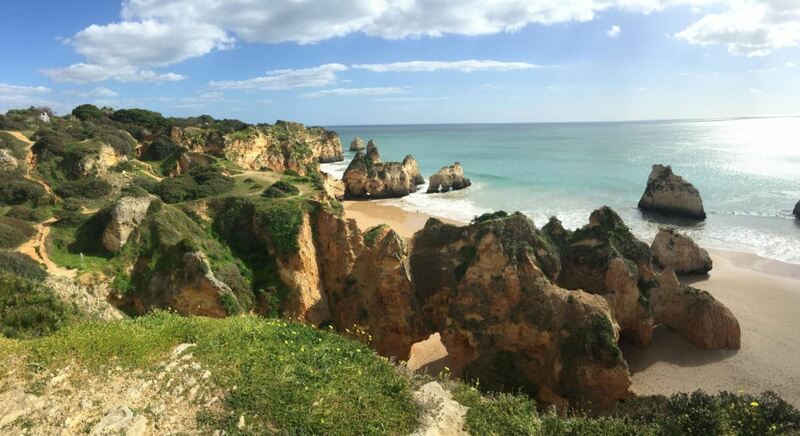 Praia do Vau is surrounded by impressive red coloured cliffs, giving the visitors of this beach a spectacular view. The cliffs also block a part of the wind, making the beach a bit sheltered. 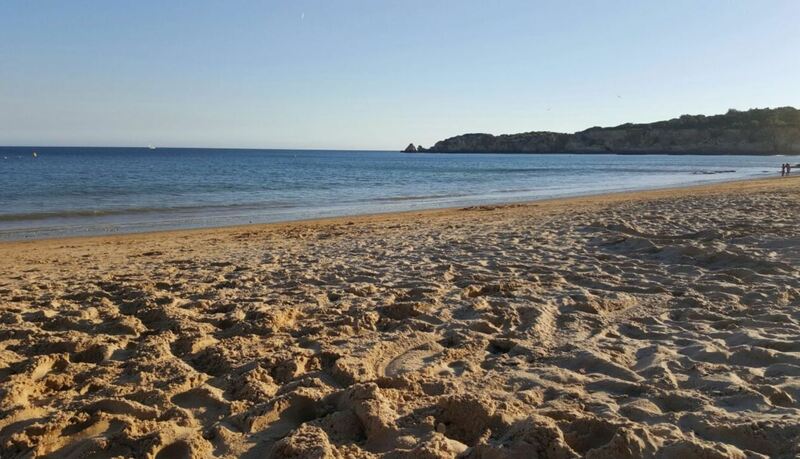 The sand on Praia do Vau is fine and golden, just like on most of the other beaches nearby. The sea here is clean and relatively calm. It is great for swimming, but the temperature of the water can be a bit cold. On a warm summer day, swimming can be very refreshing. Watch out for some rocks in the water, especially in front of the big standalone pinnacle rock. In summer, Praia do Vau can be a bit crowded. During high tide, the beach is smaller and therefore feels extra crowded. However, the beach is quite big and thus it is often easy to find a spot on the beach. 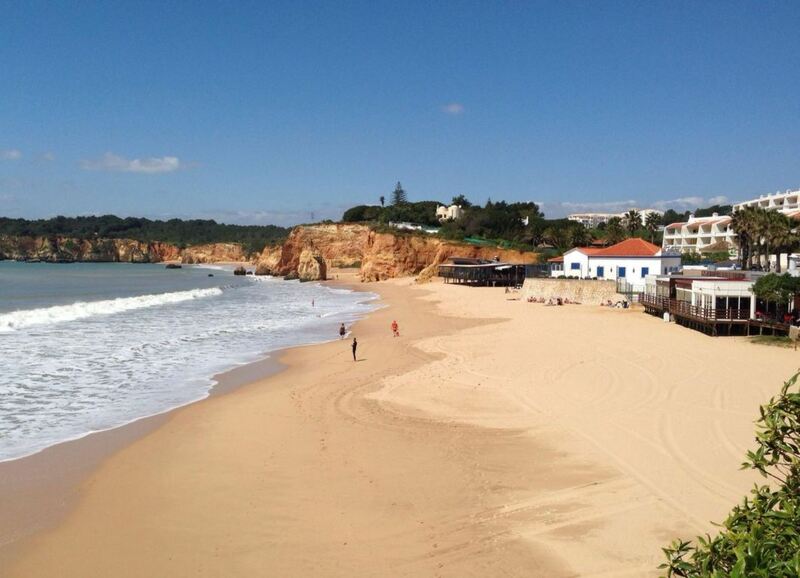 Praia do Vau is usually less crowded than Praia da Rocha. 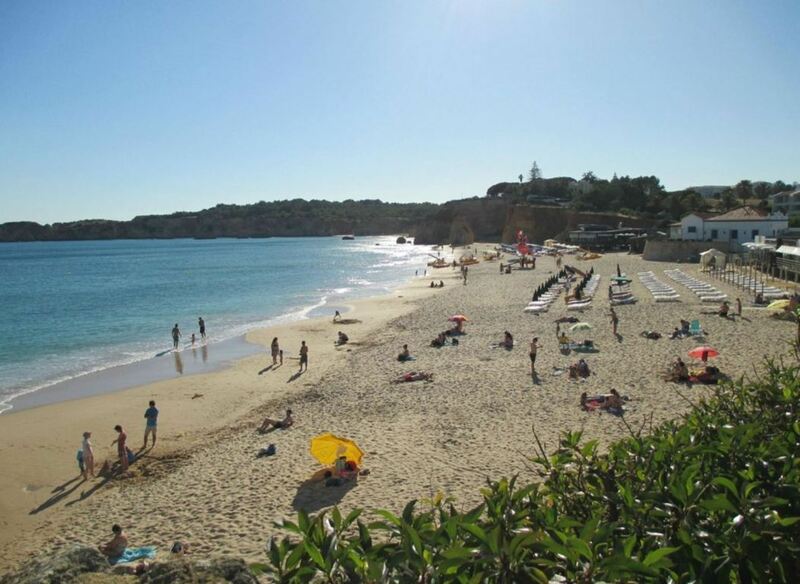 It is a great beach to escape the huge crowds that spend their summer in Praia da Rocha or the centre of Portimão. Praia do Vau is very popular among Portuguese families, especially with children. Also tourists love the beach. 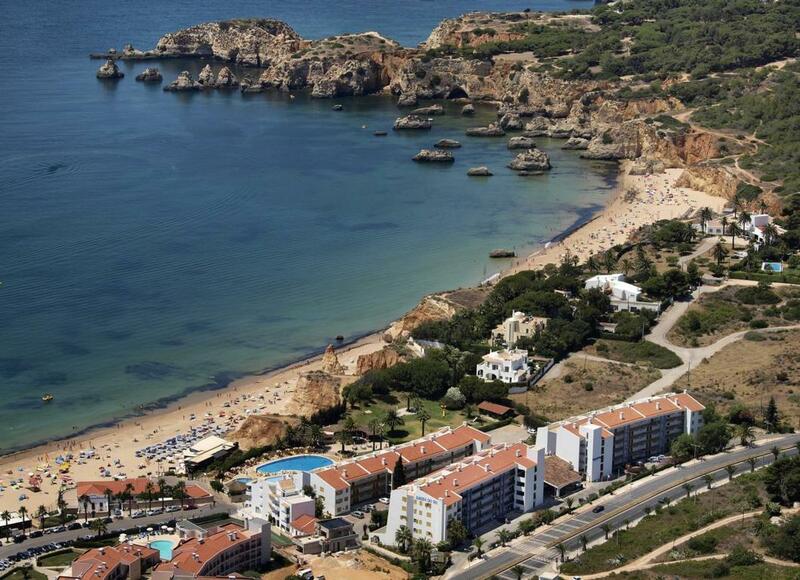 Many visitors of Praia do Vau are staying in the hotels and resorts nearby. During low season, the beach is almost empty. When you visit the beach in the winter or spring months, there will be only a few people on the beach. To the west of Praia do Vau is Praia do Alemão (on the right side, when looking at the sea). This beach has several natural rock pools, which are usually enjoyed by children. The water in these pools can get much warmer than the water temperature of the sea. There are also some hidden coves that kids love to discover. To the east of Praia do Vau is Praia dos Careanos. An easy way to recognize Praia do Vau is by the huge rock standing alone on the beach. There is a smaller rock just to the side of it. The rock can provide some shade, but be careful. There is always the risk of rocks falling. Praia do Vau and its neighbouring beaches are great for a long beach walk. 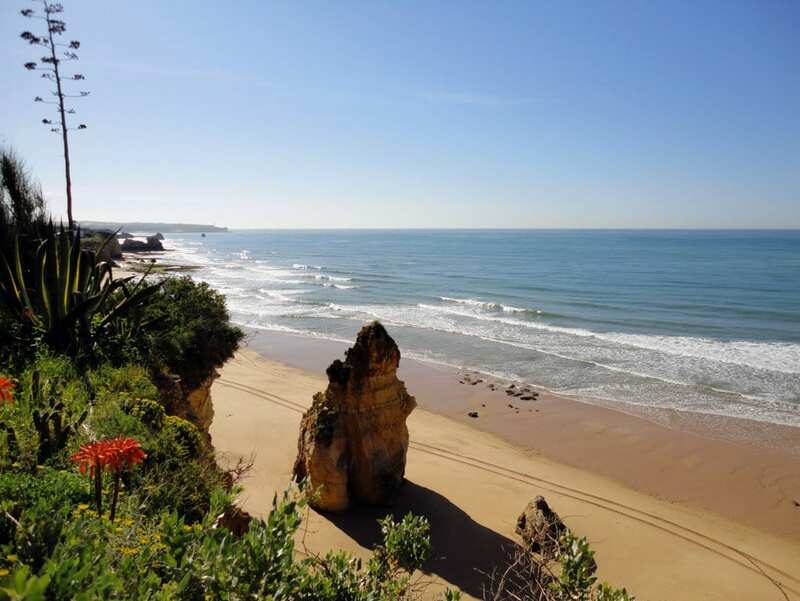 From Praia do Vau you can walk east, to Praia dos Careanos, all the way to Praia da Rocha. The best time for this beach walk is during low tide. 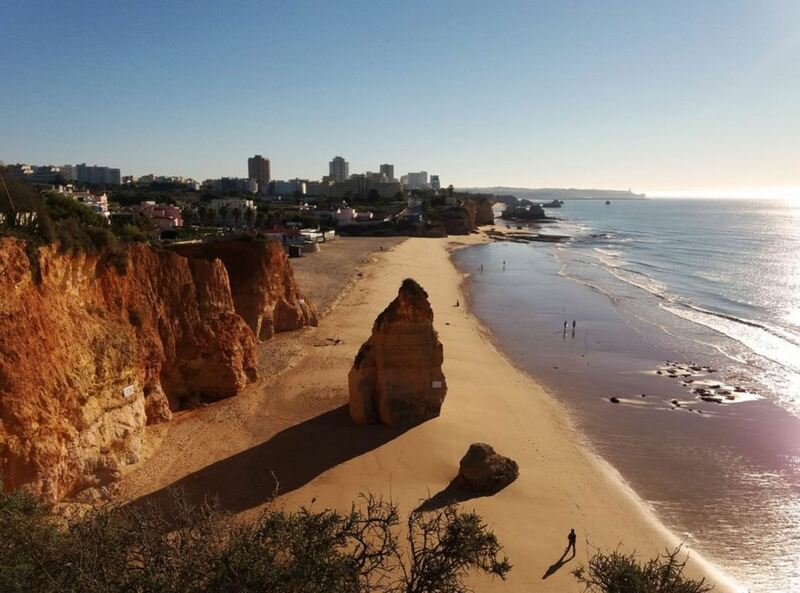 You can walk all the way to the end of Praia da Rocha and back. This is a walk of several kilometres, but is highly recommended. 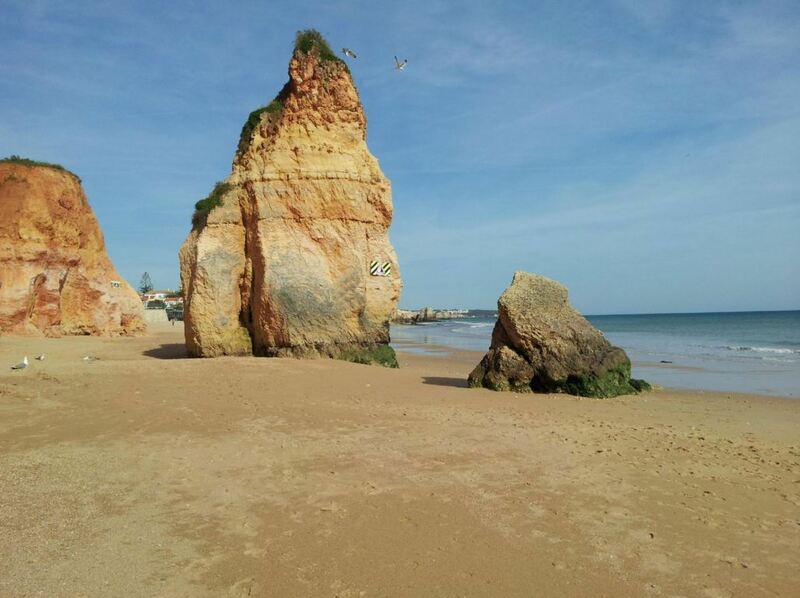 During this beach walk you will see stunning rock formations, both on the beach and in the water. From Praia do Alemão, which is directly to the west of Praia do Vau, there is a path up the cliffs. From up on the cliffs, you can walk all the way to Prainha and Praia dos Três Irmãos. This walk really gives you stunning views over the rock formations there. Vau Steakhouse. 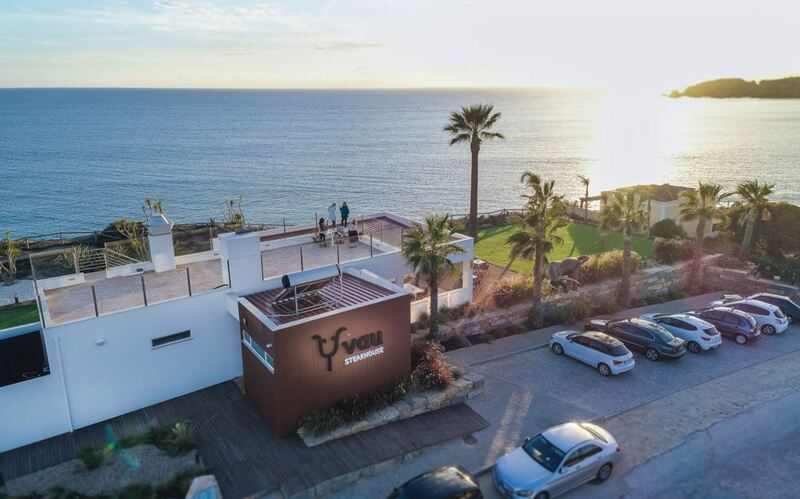 This highly rated steak restaurant offers great views over the sea. Good food and great service. Jacaranda Restaurante & Bar. In this restaurant, the waiters will make you feel at home. The service is amazing and the food is great. O Rebelo. This restaurant is located right on the beach. The views from this place are stunning and the food is good as well. Jardim do Vau. This aparthotel is located near the beach and offers an indoor and outdoor swimming pool. It is possible to make your own meals in the kitchen of every room. There is a free shuttle service to the city of Portimão. Apartamentos Turisticos Coral do Vau. These apartments are only a one minute walking distance away from Praia do Vau. The apartment complex has a tennis court and two swimming pools. Apartamentos Turisticos Presidente. Located above the neighbouring Praia dos Careanos, these apartments have a nice swimming pool overlooking the Atlantic Ocean. Highly rated, especially by couples. If you come by car, you can enter the following address in your GPS: Estrada do Vau, Portimão, Portugal. There is free parking right behind Praia do Vau, but it can be hard to find a parking spot near the beach in the summer. It is easier to find a parking spot a bit further from the beach. From there, you walk to Praia do Vau in 5-10 minutes. Portimão offers everything you need for a great holiday. 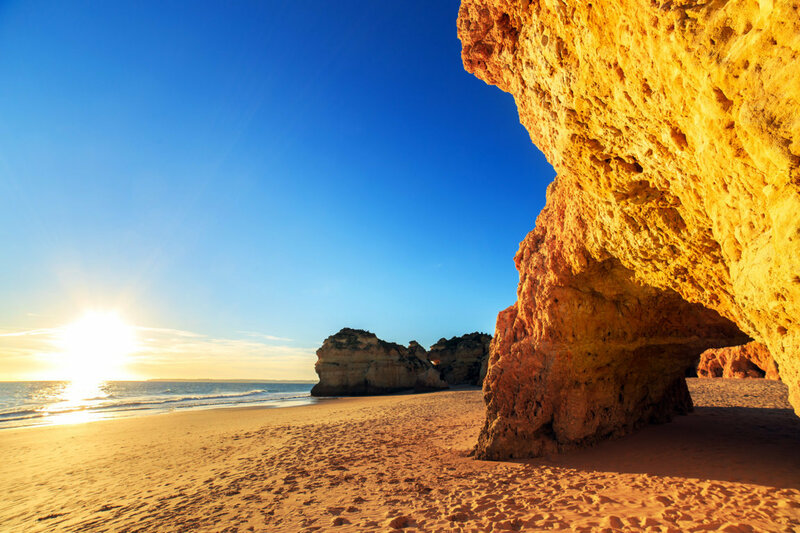 However, if you truly want to discover the Algarve, the best way is to go on an excursion. What about visiting the castle of Silves or seeing the coastline of the Algarve by boat? There are many things to explore in the region. Below you can find our favourite excursions. Basic facilities like restaurants, lifeguards and sunbeds are available on Praia do Vau. It is also possible do some water sports on this beach, like hiring a pedal boat or a stand-up paddle board. 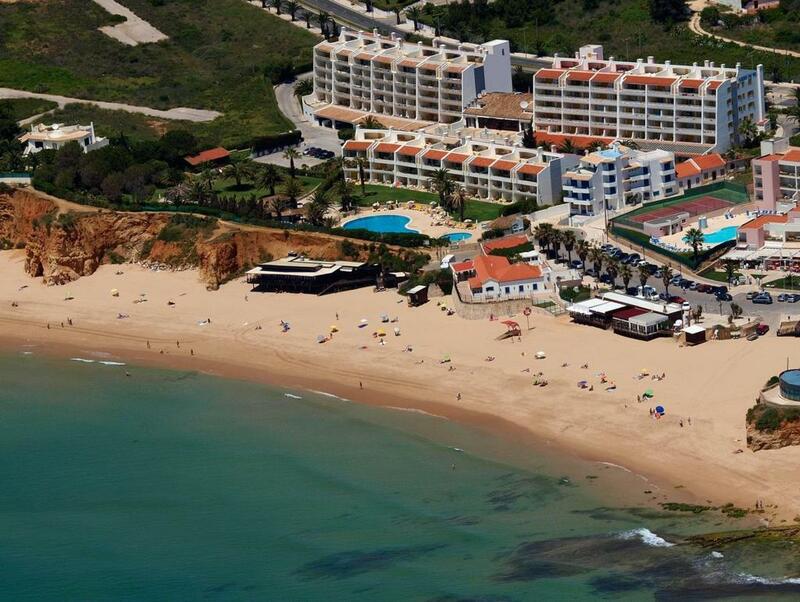 If you seek more facilities, you can find them in Praia da Rocha, which is within walking distance. 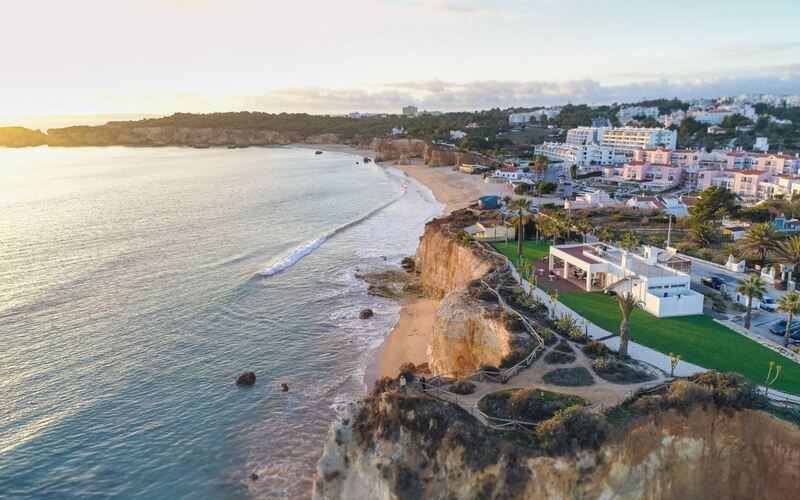 There are many more restaurants, bars and clubs in the Praia da Rocha area.